I wrote this at Camp Indralaya, a Theosophical camp on Orcas Island in the San Juan Islands off the coast of Washington state. The camp practices ahimsa, or harmlessness, and when we arrived we were met by the camp’s signature bunnies, I counted five in the group, peacefully munching on grass and clover. The bunnies, as well as deer who live in the woods surrounding the camp, know it is a safe space. They may move away a foot or so if you walk toward them, but the presence of humans does not disturb them. In pleasant weather sessions are held in the meadow next to the apple orchard, and it is not uncommon for deer to walk amongst the participants to munch on the apples or pears growing there. The setting is just as peaceful and relaxing for human beings. My husband, Morry, and I were at the camp for a meeting of the Northwest Federation of the Theosophical Society and the program of Dzyen Meditation being given by Pablo Sender, an international TS speaker. On the last morning of the long week end, my thoughts turned back to work and preparation for the Theosophical Order of Service’s board meeting in July. At its February meeting the TOS board of directors said good-bye to three directors whose terms were ending. Our by-laws limit a board member to two consecutive terms of two years each. When I say “said good-bye” I mean it rather tongue in cheek because two of the three board members still remain in active, vital TOS positions. Those leaving the board were: Betty Bland who remains as TOS treasurer; Ananya Sri Ram Rajan who remains as editor of our magazine, For The Love of Life and our Newsletters; and Jeanne Proulx, former treasurer. We thank them all for their service and look forward to continued work with them as TOS members. We also elected three new board members who began their terms of office with the July TOS board meeting. They are: Lloyd Standish, Rozi Ulics and Christine Cianciosi. Lloyd has worked within the TOS for many years as our webmaster. Rozi is the director of our new animal healing network which was her brainchild. She is also assistant webmaster for the International TOS. 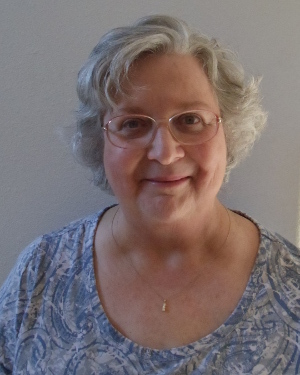 Christine works at the Theosophical Publishing House, the publishing arm of the Theosophical Society in America. We plan to put her book know-how and other abilities to good use. A lot has been happening as we try to incorporate and put into play some of the action steps in the TOS-USA Plan of Action drawn up at the International TOS Conference last summer and ratified by the board as guidelines at its February 2014 meeting. The entirety of the plan was printed in our Autumn 2013 Newsletter and in the Winter issue of the Theosophical Society’s Quest magazine. It is also posted on our website, www.theoservice.org. Speaking of the website, one of our action plan goals is to improve awareness of the TOS within the membership of the TS and with others. We have taken several steps toward this goal. New brochures about the TOS and our Healing Network were created and are now being included in the Theosophical Society’s new members’ packets. That way TS members will know from the start that they are also members of the TOS. We are making a concerted effort to ensure that something about the TOS and its activities is included in every issue of the Quest magazine. We are revamping and improving our website. Our effort is aimed at making the website more attractive, more focused on the TOS and its activities, more informative and user friendly. The TOS board of directors reviewed the progress made so far at its July meeting. The new website will be up and running the first of next year if not before. We are also trying to increase awareness of the TOS by direct contact with lodges, study centers and federations. A program that can be given at TS groups has been developed and outreach begun. So far the power point presentation has been given to the Portland, OR and Ojai, CA lodges and at the Mid-South Federation meeting this past April. Plans for presentation to the other groups along the west coast are underway. We also hope to spread this program across the country via our liaison network. You can read more about this effort in the website/Newsletter article TOS on the Road.